2017 has been another wonderful year for Foster Moore. We’ve enjoyed delivering registry solutions to new clients along with working with our existing clients to deliver world-class registry solutions. Our family of registry people has grown and our offices in New Zealand, Canada, and the US are brimming with exciting registry projects. If you’re lucky enough to get a break over this holiday season, we hope it’s a refreshing and safe one. If you’re working through (like a number of our team), we wish you success. 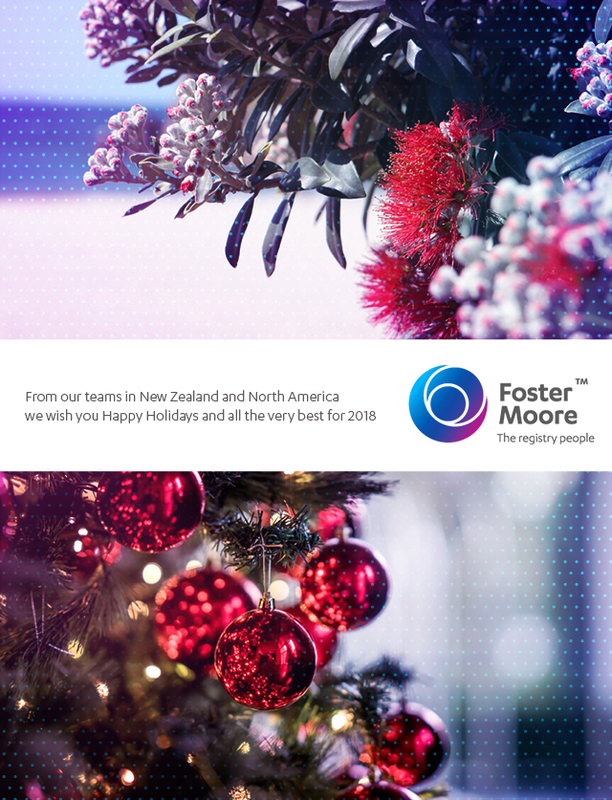 We thank you for your support in 2017 and look forward to working with you in 2018.